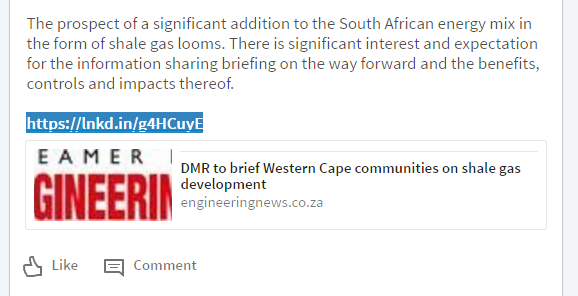 An information sharing briefing is scheduled for today to reveal insights from the Department of Mineral resources on the impacts of shale gas. This follows the recent announcement by government that the shale gas exploration programme was approved and will commence. It remains to be seen whether the process will add a new fuel type into the country’s energy mix and how it will reach the industrial energy marketplace that can benefit from having a lower carbon fuel as an alternative to the fuel mix currently available.